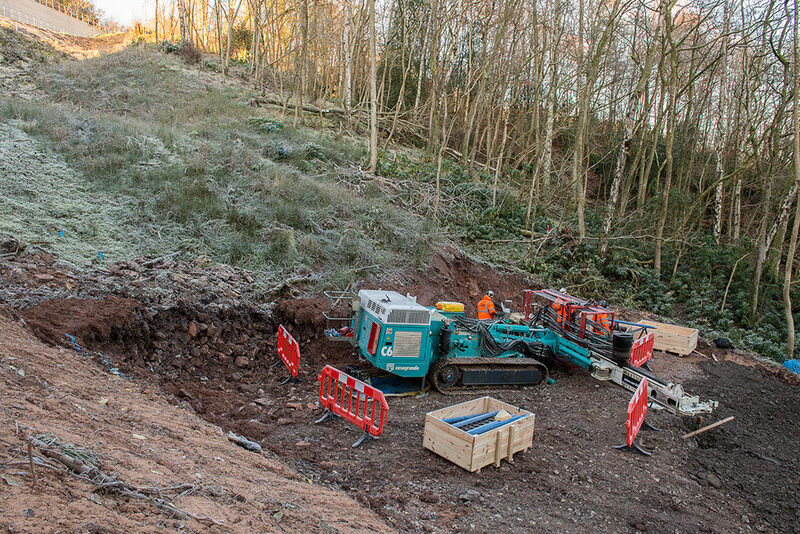 Following a landslide which destroyed part of the Settle to Carlisle railway line, a large project was undertaken to rebuild the slope supporting the line. 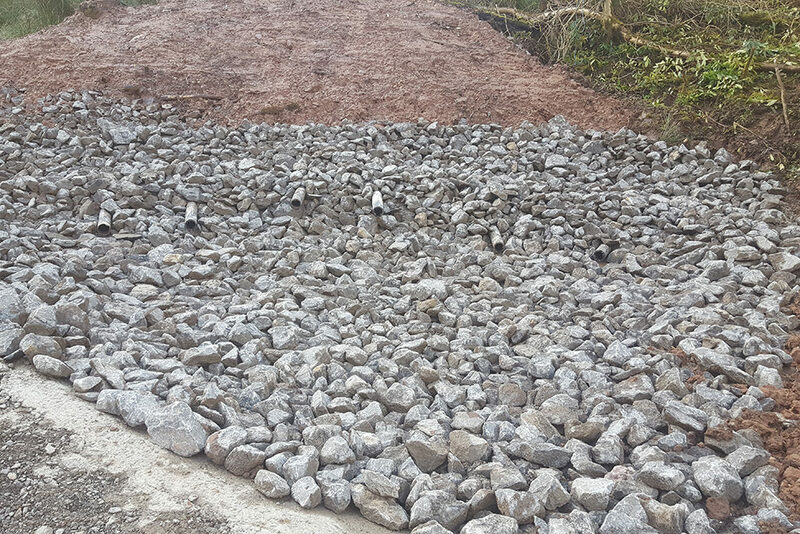 As part of these works, the installation of up to 40m long inclined drains was required to ensure effective groundwater drainage of the slope and reduce the risk of future failures. 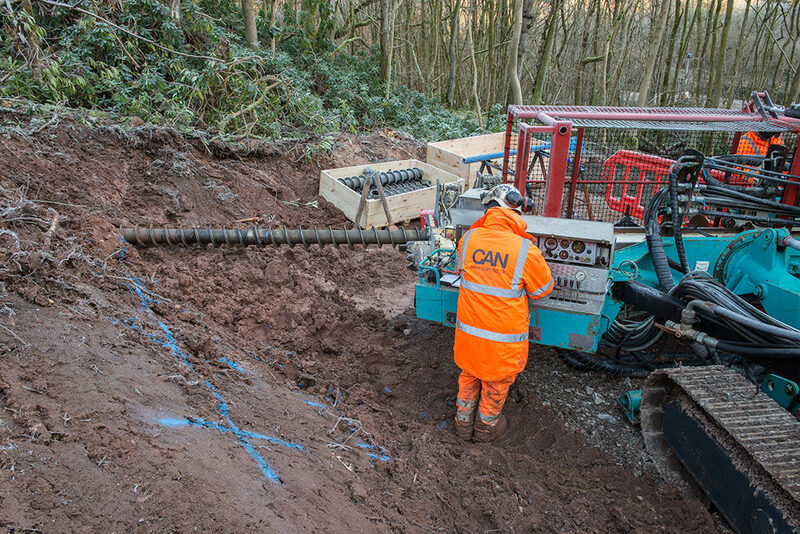 CAN Geotechnical utilised a hollow stem auger drilling system to form holes. 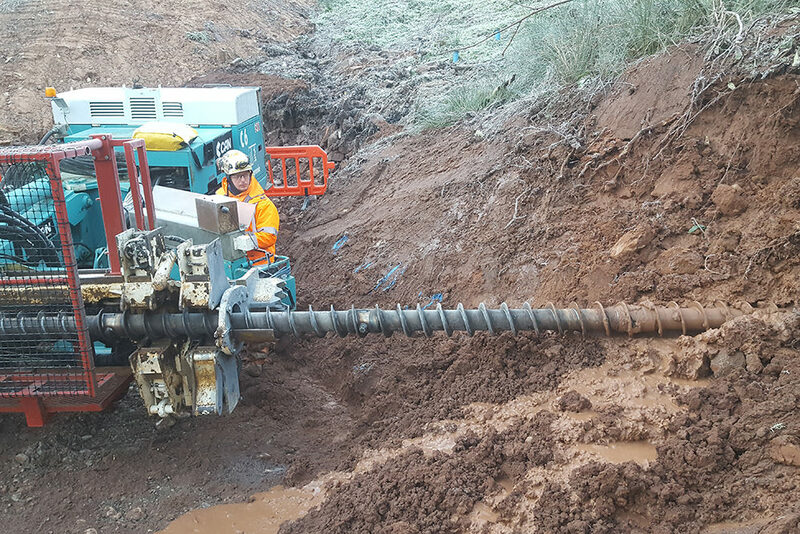 A Casagrande C6 drill rig was utilised to provide the necessary torque for drilling 200mm diameter holes at this depth. Ground conditions comprised of till found typically in glacial environments. This unsorted sediment meant soft ground was interspersed with sizeable boulders making for difficult ground conditions. 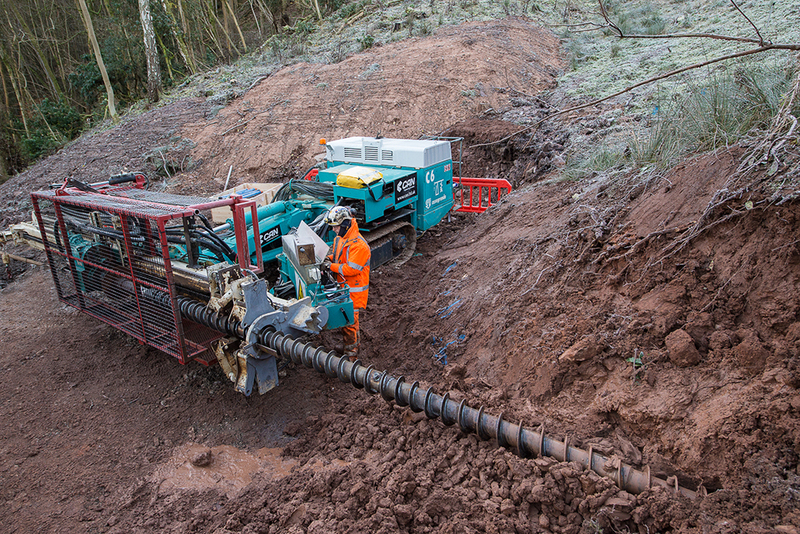 The drill system had to cope with installing drains in the collapsing ground and hard boulders. Slotted HDPE pipe, wrapped in a geotextile terra filter was installed into the holes in 3m lengths, connected by screw couplings. The effectiveness of the drains was immediately evident from the presence of running water issuing from the installed drains.